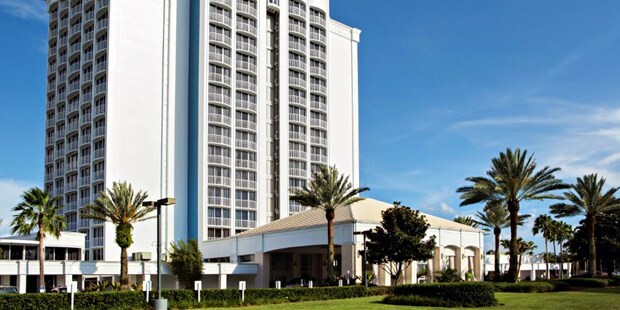 Take a look at today’s travel deals freshly found by our deal hunters and you can find – among other offers – the B Resort and Spa in Lake Buena Vista for $89 per night. Book now and save as much as 45% off the regular prices of your Orlando hotel. This great resort is located in the Downtown Disney Resort area, so you and your family will be close to all the action! If you check further below, you will also find domestic flights nationwide with the award winning Virgin America for $49 one way, ocean view room at the Palace Resort in Myrtle Beach from $59 per night, 5 nights all-inclusive Costa Rica vacation for $822 per person and more. Hurry up, such travel deals may sell out very soon! Book the 4 star B Resort and Spa by August 12 2015 and you can stay for much less through November, on weekdays. Note that weekends cost only $20 more per night at this new hotel. Also, an extra resort fee will be applied at checkout – $20 per night – that includes access to the resort’s fitness center, in room bottled water, kid’s game room/ arcade and a lot more. It is only a short walk away from the shops and the marina of Downtown Disney and guests get free Wi-fi throughout their stay plus the use of free shuttles to the theme parks. Before you book this offer you should consider checking the prices of some other merchants as well. Compare their rates and book the best offer of its category!